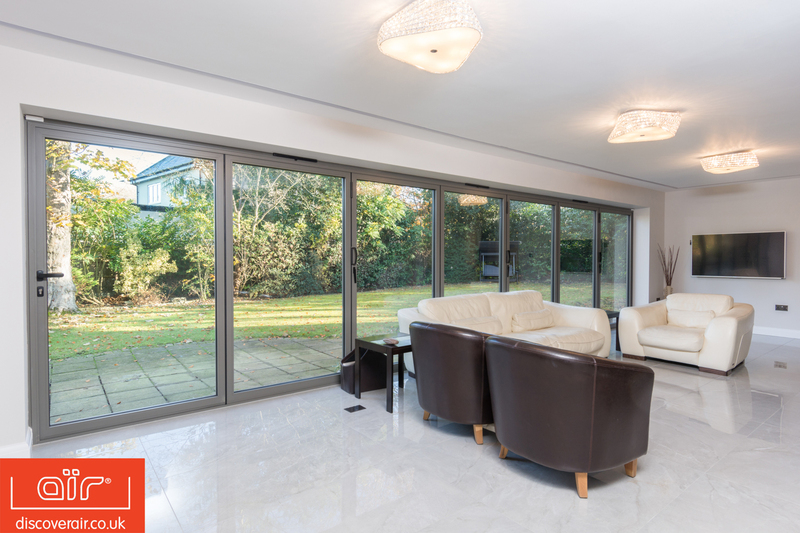 aїr bi-fold doors are quite simply the Rolls Royce of large aluminium doors. 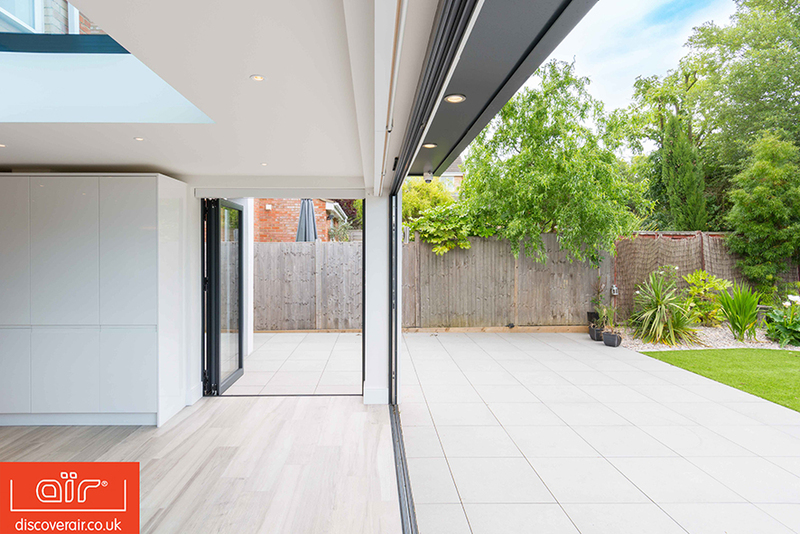 Exclusively manufactured by Everglade at our Greenford factory, aїr 800 bi-fold doors can accommodate glass panels as large as 3 meters tall and can be configured with up to 10 frames. 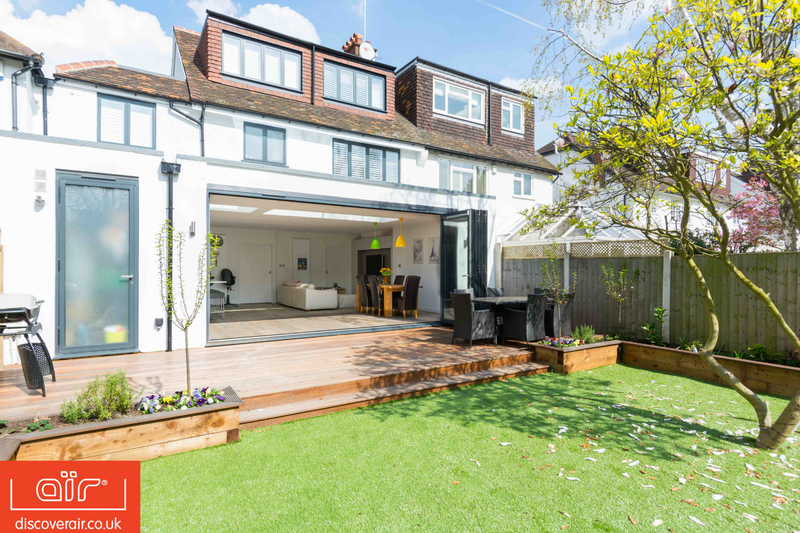 This allows you to enjoy captivating and expansive views, and make a statement in your home, ideal for the impressive properties in Ealing, Brentford and Hammersmith. 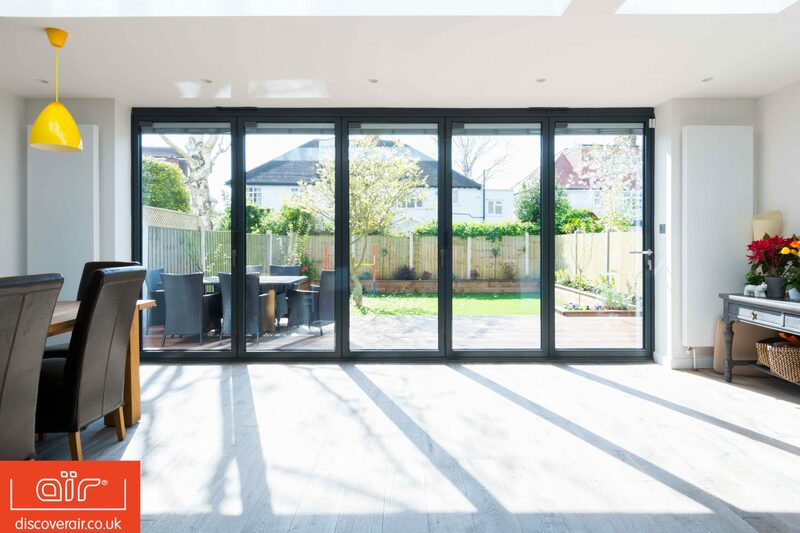 With some of the most slimline frames on the market, at only 108mm, our aїr 800 bi-fold doors give you more view and less frame. 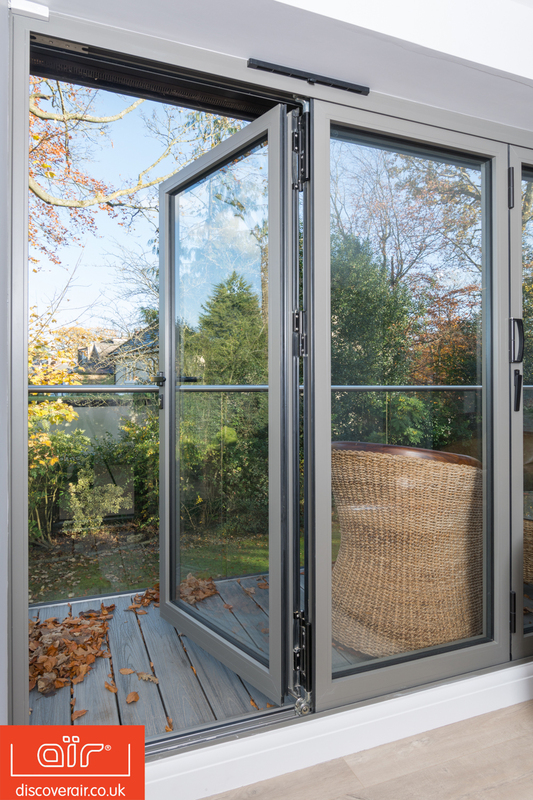 aїr bi-fold doors also offer the design flexibility of opening either inwards or outwards because they are created with precise engineering. This means you can have whatever design suits your space and taste. 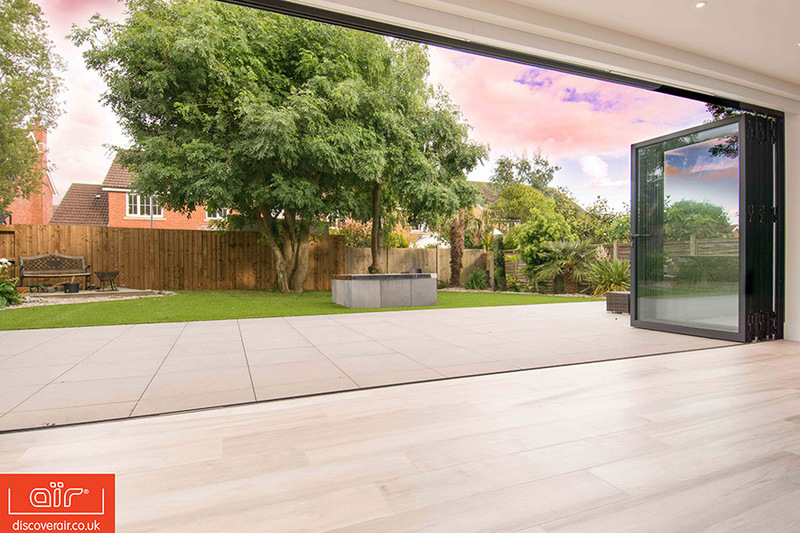 Our aїr Bi-Fold Door system can create more than 200 door configurations and is available in a choice of thousands of colours. 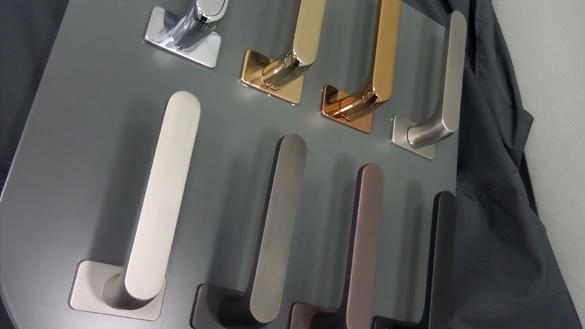 The design possibilities are almost endless, meaning you can create a truly unique look and feel to your space that is complete bespoke to you and your home. 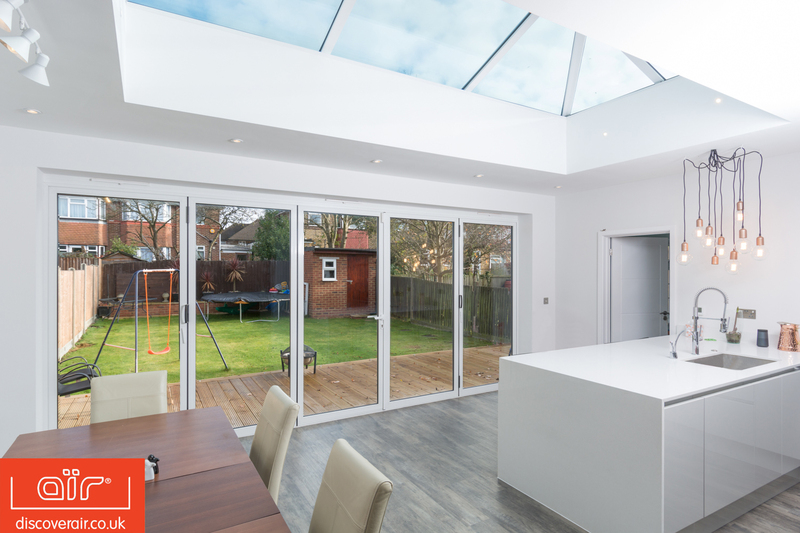 These bi-fold doors come with a 25-year guarantee so you can trust they are built to last and will withstand the usage from everyday life. 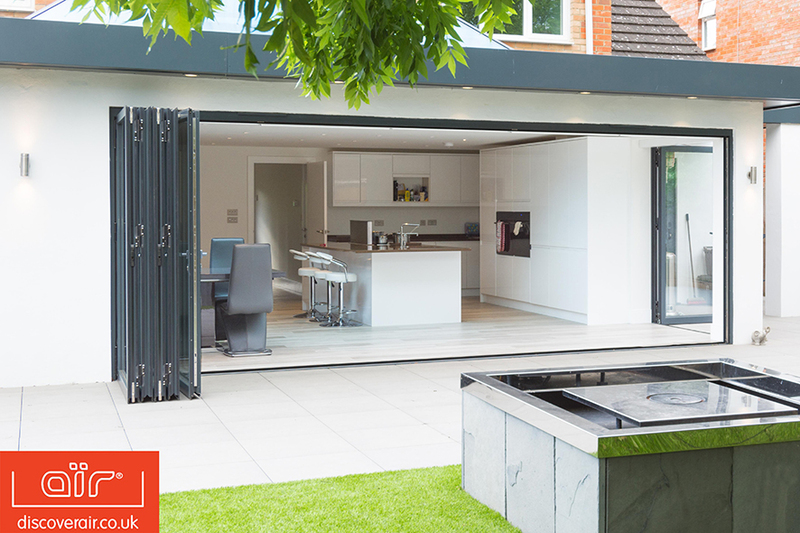 Whatever design or building you’re looking to create, aїr 800 Bi-Fold Doors can create it with style. 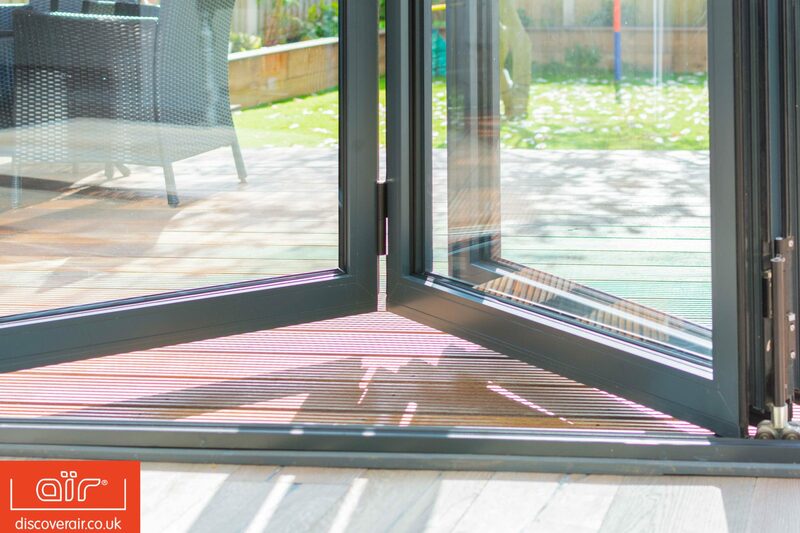 aїr 800 Bi-Fold Doors are available in any RAL colour and come with the additional option to add an aïrcoat textured paint finish. 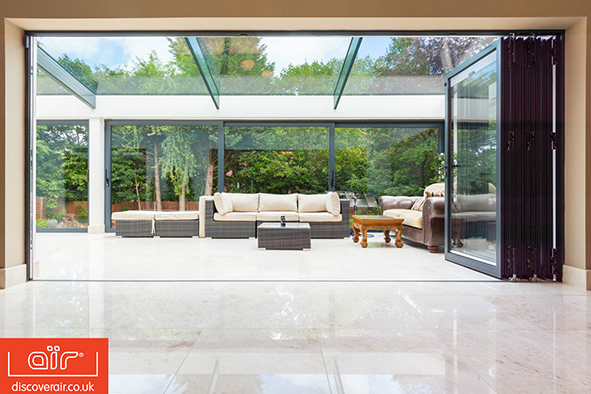 This creates a hardy scratch and dirt resistant surface to keep your bi-fold doors looking as good as new for as long as possible. 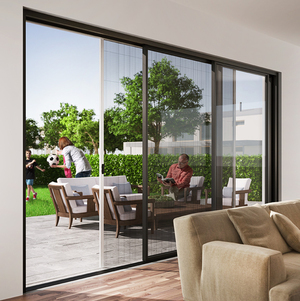 There is also the option of dual-colour frames with the aїr 800 bi-fold doors meaning your internal facing frame can be a colour to match your décor whilst the exterior frame can remain in-keeping with the exterior of your property. 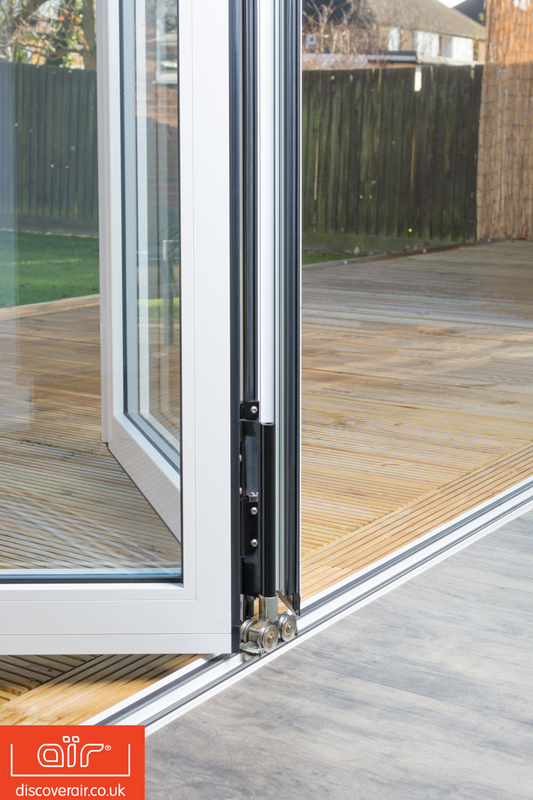 aїr 800 Bi-Fold Doors come certified by UKAS with the PAS 24 accreditation. 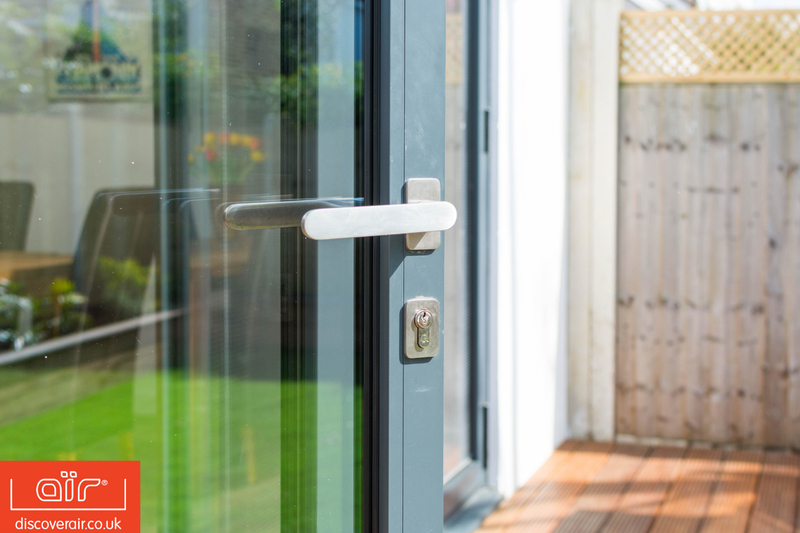 This means your new doors will be compliant with the latest requirements for enhanced security giving you complete peace of mind. 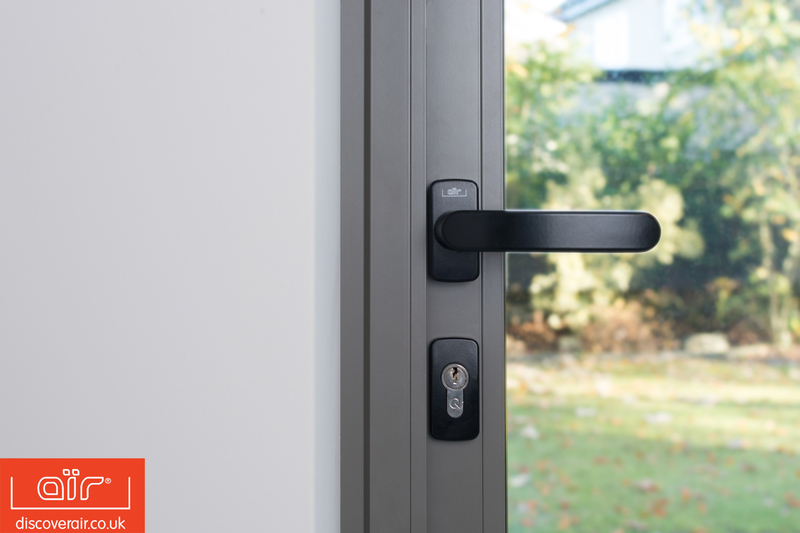 Everglade also offers additional security features such as locking and hinges which will further increase the security of your new door system. 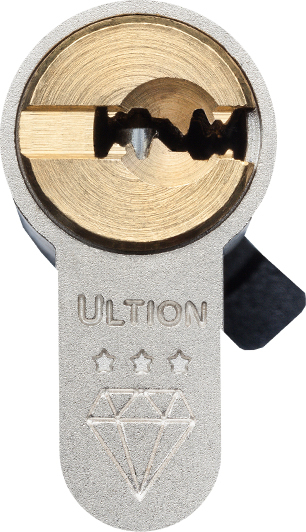 The Secure Diamond 3 star Ultion lock comes with 11-pin which enter a lock down mode when it detects attack. Please ask one of our customer service team for more information. 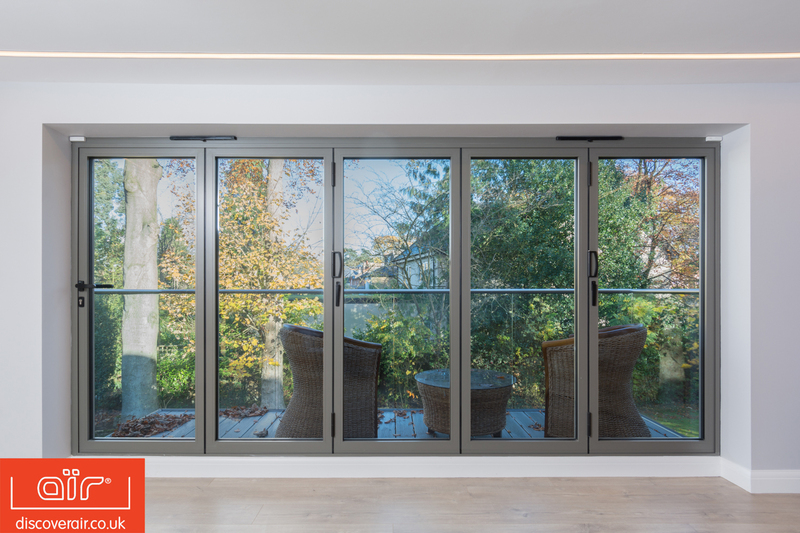 aїr Bi-Fold Doors provide excellent energy saving performance, achieving a thermally efficient U-value as low as 1.4 Wm2K. 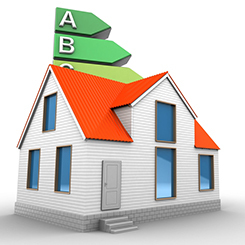 This means you can still maintain your homes temperature whilst lowering your energy bills and enjoying the extensive views. 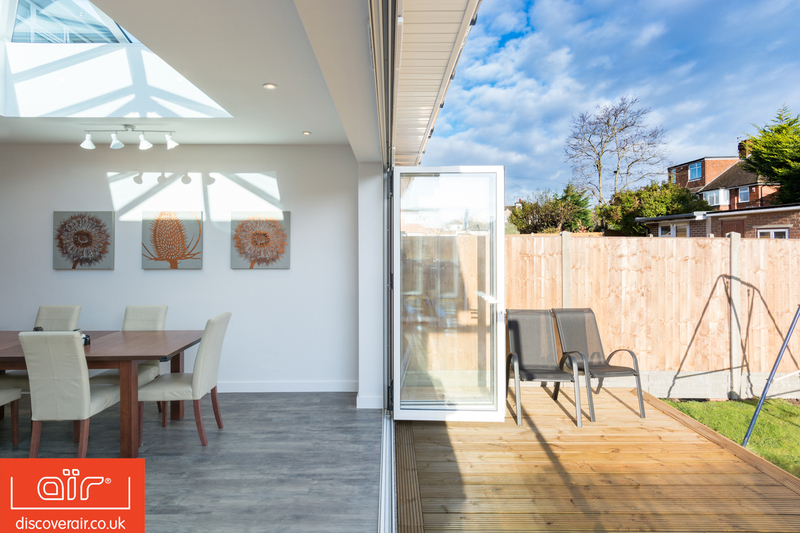 They have also been weather tested and have been found to be watertight up to 600 pa and withstand wind gusts of up to 100MPH so you can keep the weather out whilst letting the light in. 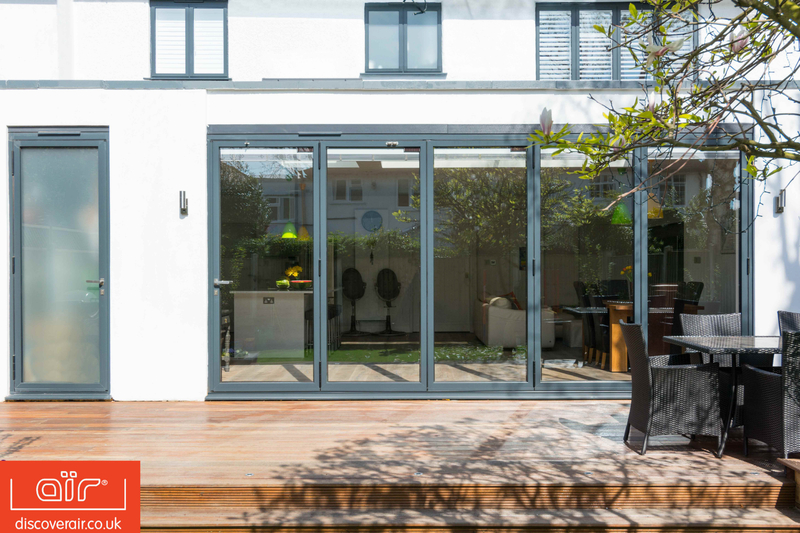 At Everglade we use TruFit to install aïr 800 bi-fold doors. 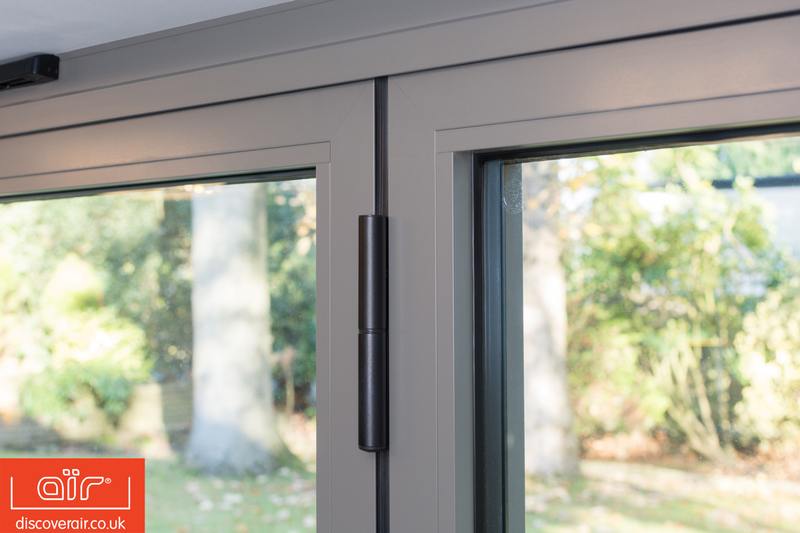 The expanding foam edge tape offers a really clean line between the wall and the bifold door frame that really aids the slick design of aïr. 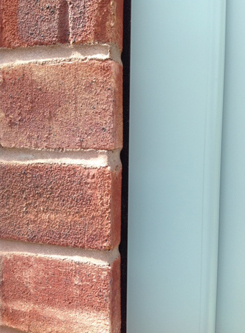 Using TruFit also means that there’s no need for any messy silicone which might smear onto the aïrcoat textured paint for a completely flawless installation. 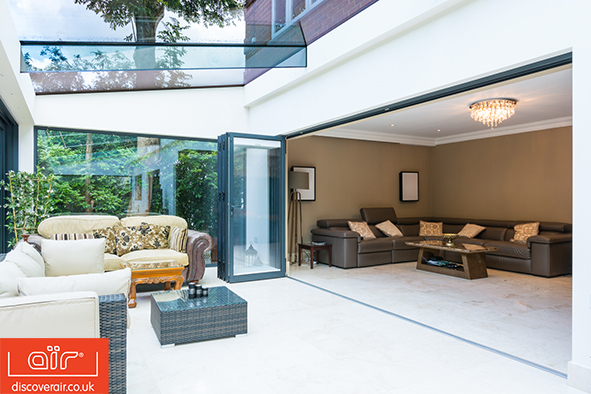 To dress your bi-fold doors, choose privacy screens. 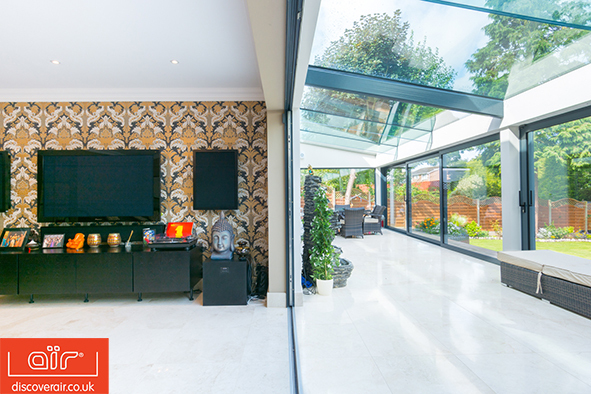 They add the privacy of blinds or curtains without compromising on style. 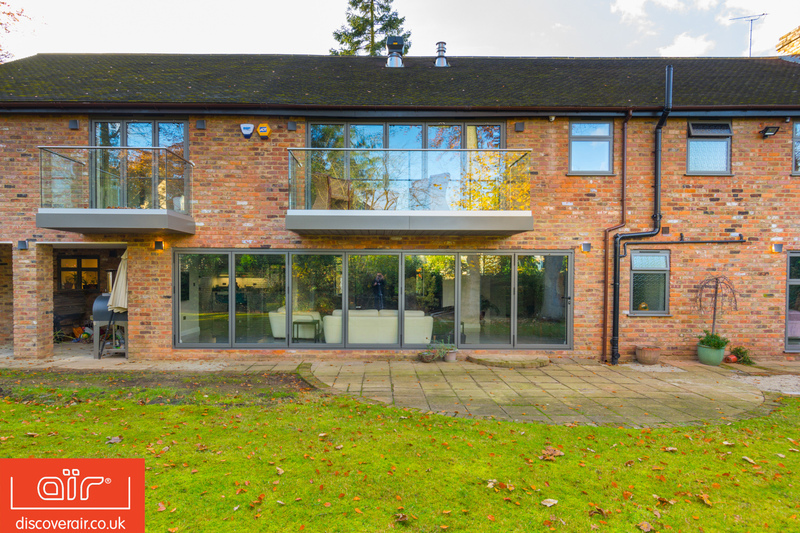 The sleek and slimline screens can also be used to stop unwanted flies and insects getting inside your home when the doors are left open all day. 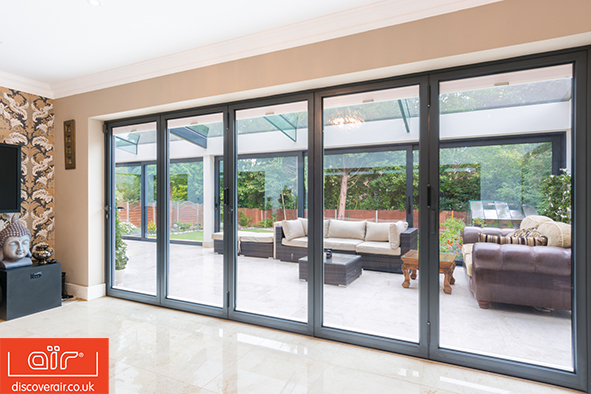 Click to start designing your new aїr Bi-Fold Doors.